It’s a better version of a product that has never really succeeded—in a market that barely exists. RGS Energy licensed the technology from Dow, which halted production in 2016. A new vendor says it has fixed key problems that plagued the notoriously difficult solar roof business. RGS Energy, an old-school rack and panel company that installed its first rooftop solar panels in 1978, entered the solar roof market by licensing the Powerhouse brand from Dow Chemical, which stopped production in 2016. After the third-generation model received UL certification in November, RGS logged its first order December 26 and began installing in the first week of January. The solar industry has long toiled at turning photovoltaic materials into roofing tiles, which offer a cleaner look by eliminating the clutter of racks and panels. However, solar roof tiles typically deliver higher prices and lower efficiency than conventional solar panels, an inauspicious combination in the competitive world of rooftop solar. As such, despite the excitement around Tesla's much-lauded but seldom-seen roof tiles, the category known as building-integrated photovoltaics (BIPV) historically has produced more failures than victories. "You've never seen any BIPV vendor succeed in the United States," said Ben Gallagher, who tracks solar technologies at Wood Mackenzie Power & Renewables. The best example was Dow, which installed roughly 1,000 Powerhouse roofs before giving up. 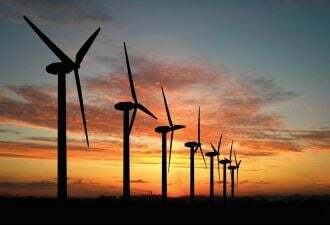 The new Powerhouse (not to be confused with the similarly named Oakland cleantech hub and venture fund) will avoid that fate with higher efficiency, lower prices and a new business model, said Kimberly Farnham, vice president for business development at RGS Energy. Dow's exit from solar roofs marked a blow to the segment: If one of the biggest materials companies in America couldn't make it work, who could? A few things are different this time around. For one thing, RGS is a solar company, unlike Dow, which delivers a vast array of products. In this specialized market, focus could help. More importantly, RGS continued work Dow had begun to improve the solar tiles' performance. "With Powerhouse 3.0, we’ve been able to increase the power and efficiency and lower the cost," Farnham said. Powerhouse 2.0 used copper-indium-gallium-selenide solar cells (Dow acquired thin-film solar startup NuvoSun in 2013) that delivered 40 watts per shingle at 10.6 percent efficiency — well below the efficiency of a typical crystalline silicon solar panel. For version 3.0, RGS switched from CIGS to half-cut mono-PERC silicon cells, Farnham said. That upped the capacity to 55 watts at 15.6 percent efficiency. 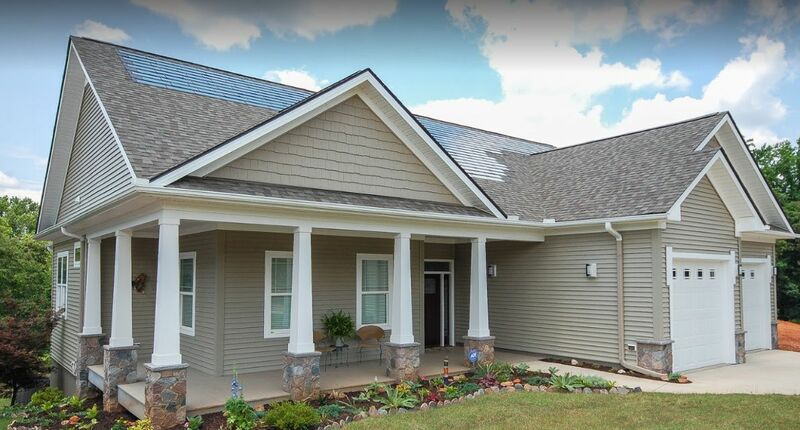 Conventional solar panels still perform better at converting sunlight into electricity, but RGS' updates deliver substantial improvements relative to the previous tile design. Solar roofs defy apples-to-apples comparisons with solar panels because they also include roofing. That's both an asset and an impediment to the business. When installed on a new-build house or during a re-roofing, the solar roof costs less than it would to build a conventional roof and put solar panels on it, RGS said. The challenge is getting the timing right, as a customer's interest in solar power does not always coincide with the need for a new roof. Solar roof economics aren't as competitive if the customer starts with a healthy roof and has to partially dismantle it. RGS' sales strategy is notable for what the company chose not to do itself. It designs and assembles the tiles in the U.S., but sources the solar components from manufacturing partners. RGS' background is in solar design and installation, not roofing. Rather than dive head-first into the roofing industry, as Tesla opted to do, RGS is reaching out to roofing and homebuilding networks. The company has certified more than 125 "Powerhouse Professional" installer partners covering 37 states; they get free installation training and support for sales and marketing. The selective specialization has allowed RGS to move quickly from receiving an order to installing a system. The weeklong delivery time contrasts with the experience of early Tesla solar roof customers, like one GTM interviewed who waited 10 months from order to installation (That customer reported satisfaction with her system, which cost around $55,000 for a 9.9-kilowatt array, after federal incentives). "There’s room in this space to have a high-end luxury product like Tesla, and there’s room to have a more affordable product like Powerhouse," Farnham said. "A couple of differences between us and Tesla: We believe we will be at least half the price, and we’re manufacturing today." Other competitors include GAF, a top roofing manufacturer that launched the DecoTech solar roof line in 2017. GAF opted against solar tiles in favor of full-size panels laid flush on the rooftop, arguing that they delivered better economics. 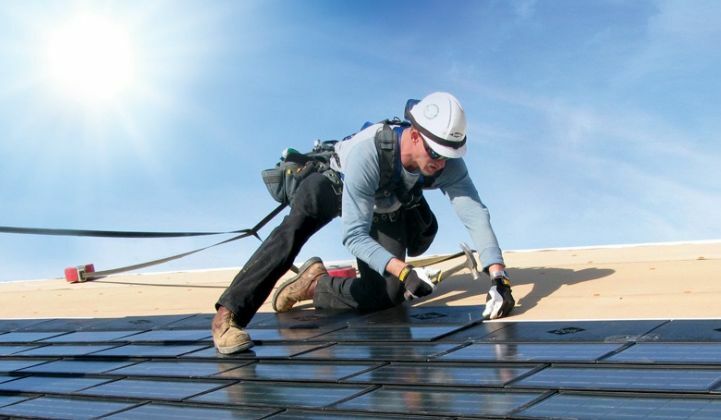 Even a more efficient solar roof faces structural challenges versus conventional panels. RGS has opted to buy its solar components from a contract manufacturer, because it isn't a solar manufacturer itself. That's more sensible than trying to build a new cell factory itself, but it bakes in a cost structure higher than a company that could manufacture its own cells. It also has to pay Dow for the license to use the technology. A custom, low-volume solar tile production run will have an additional cost disadvantage compared to mass-market solar panels, which benefit from vast scale and years of manufacturing improvements. Solar roofs benefit from aesthetics, which customers do care about. The problem with RGS and GAF shingles is that they only replace some conventional roof tiles, based on where the optimal solar generation spots are. That creates a hybrid rooftop appearance, unlike Tesla, which replaces the whole roof (thereby increasing costs). The arithmetic of savings for a new roof paired with solar tiles makes sense, in theory. RGS' job now is to prove it in the field. That's a tall order, based on the history of the market, but at least the field isn't very crowded.